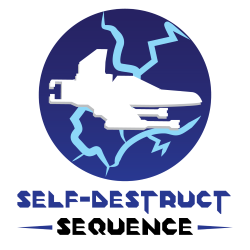 The Self-Destruct Sequence Podcast is a podcast all about the Descent series, with a focus on Descent: Underground, the fourth game in the series. Hosted by Andy "DrZing" Grundman and co-hosted by Ross "Morfod" Orchard and myself, we dive into not only what's going on with the 6DoF genre, but also delve into the happenings within the Descent community. You can check out our Facebook page, and look us up on iTunes.